Not interested in Mount Pleasant ? Please choose a different community. Charleston’s premier Happy Hour concert series takes place on Friday evenings from April 27th to June 29th . 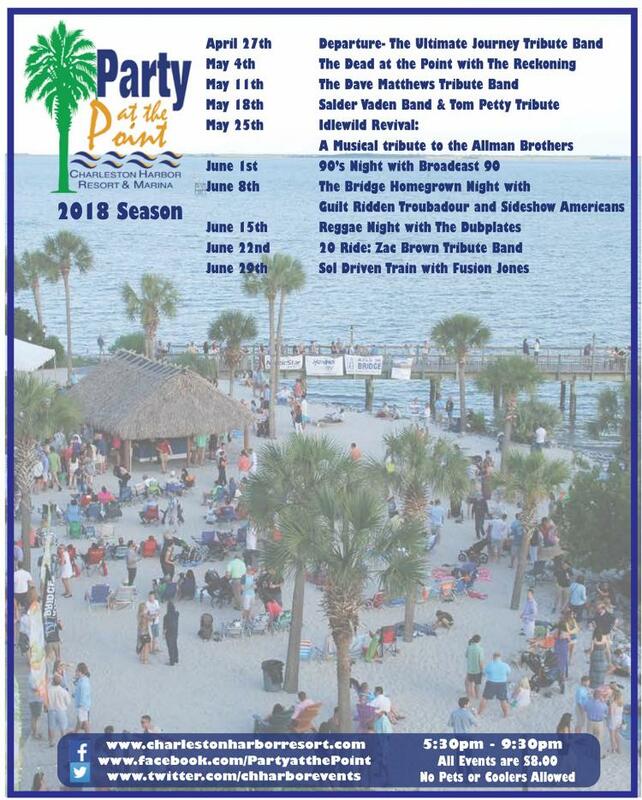 This family-friendly event is hosted on our beachfront and features live music and plenty of food and drinks. All shows subject to weather conditions and may be rescheduled. Rain dates slated for July 6th and July 13th.